The official final version of iOS 11.2.5 Firmware (Build 15D60) for iPhone, iPad, and iPod touch has been released by Apple via OTA (Over-the-Air) and via Offline IPSW Update Files for manual installation using iTunes on supported iOS-powered devices for free. The latest iOS 11.2.5 Update is instantly available for upgradation on iPhone X, iPhone 8 Plus, iPhone 8, iPhone 7 Plus, iPhone 7, iPhone SE, iPhone 6S Plus, iPhone 6S, iPhone 6 Plus, iPhone 6, iPhone 5S, iPad Pro, iPad Mini 4, iPad Mini 3, iPad Mini 2, iPad (2017), iPad Air 2, iPad Air, and iPod Touch (6G). Apple has also released final tvOS 11.2.5 Firmware (Build 15K552) update for Apple TV and final watchOS 4.2.2 Firmware (Build 15S542) for Apple Watches. 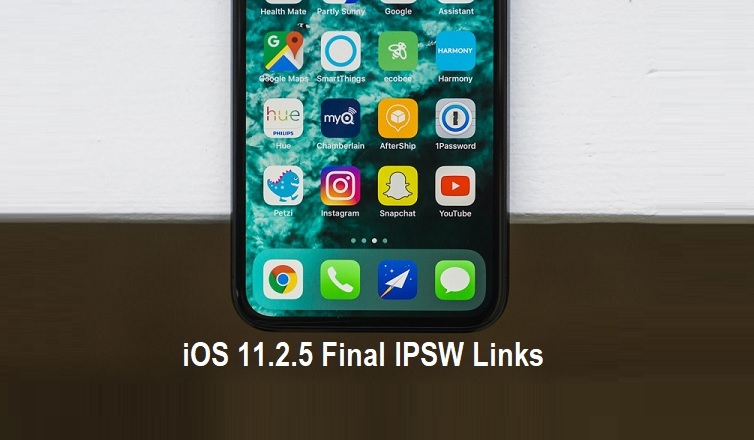 Apple iDevice users can Free Download iOS 11.2.5 Final and tvOS 11.2.5 Final IPSW Files via Official Direct Links available at the end of this post. 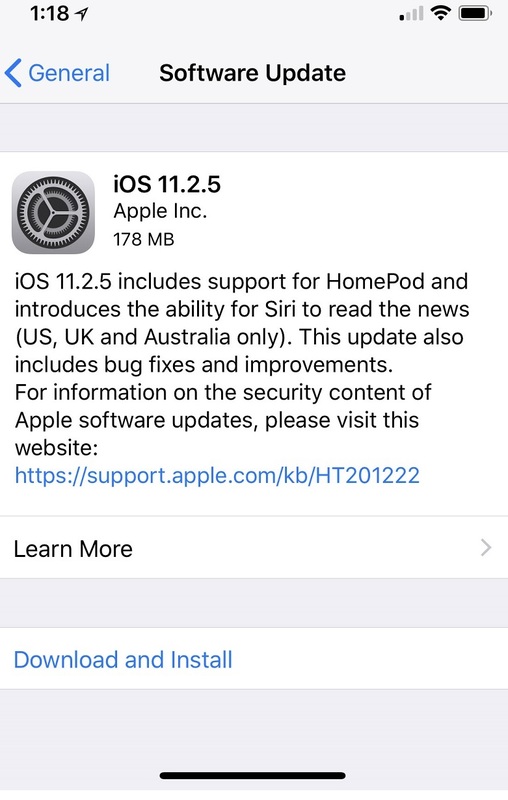 Apple has made quite a few changes in latest iOS 11.2.5 Final Update, which includes official support for HomePod and makes Siri capable enough to read all the news and stories of US, Australia and UK regions. More countries support could be added in future. The newest iOS 11.2.5 also contains improvements for bug fixes, stability, security, and performance enhancement. The latest watchOS 4.2.2 Final Update holds fixes and improvements for Apple Watches. The latest tvOS 11.2.5 Final Update provides improvements, enhancements, and fixes for Apple TVs. How to Clean Install iOS 11.2.5 via iTunes? 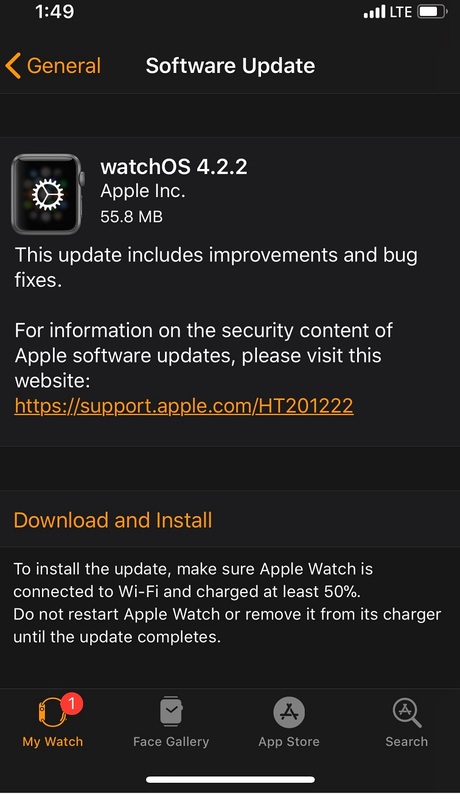 The latest iOS 11.2.5 OTA Update is also available from Apple instantly by simply navigating to Settings >> General >> Software Update option from your iOS device, but if you want to clean install iOS 11.2.5 using iTunes on macOS or Windows systems, then you can free download iOS 11.2.5 final ipsw files via direct official links available below.